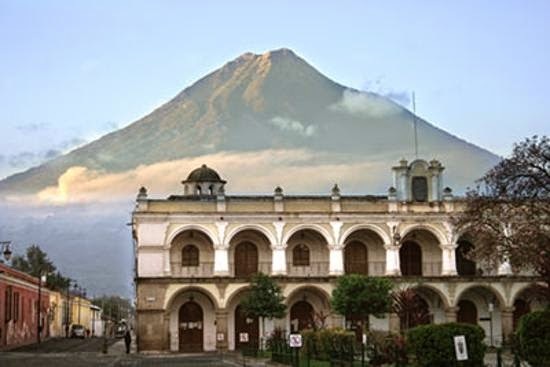 Antigua, located over 1500m above sea level in the Guatemala highlands of Central America, has a mild year-round climate - its high elevation keeps the city from getting too hot in the summer, with an average year-round daytime temperature in the 70's. Unlike some other parts of Guatemala, which are closer to the Pacific and Caribbean coasts and can become very hot and humid, Antigua's daily low temperature averages in the 50's year-round, sometimes requiring a jacket in the evenings. Antigua has a rainy season which lasts from May through September. During this season it rains nearly every day in the late afternoon and evening. The remainder of the calendar year is relatively dry. Because of its pleasant weather, Antigua Guatemala is a great place to visit at any time of year. Many visitors from North America and Europe choose to visit during the winter months to escape the cold, though it is also a popular destination for travelers in the summer, the mild climate of the Guatemalan highlands is a welcome relief from the hot and humid summers in North America.